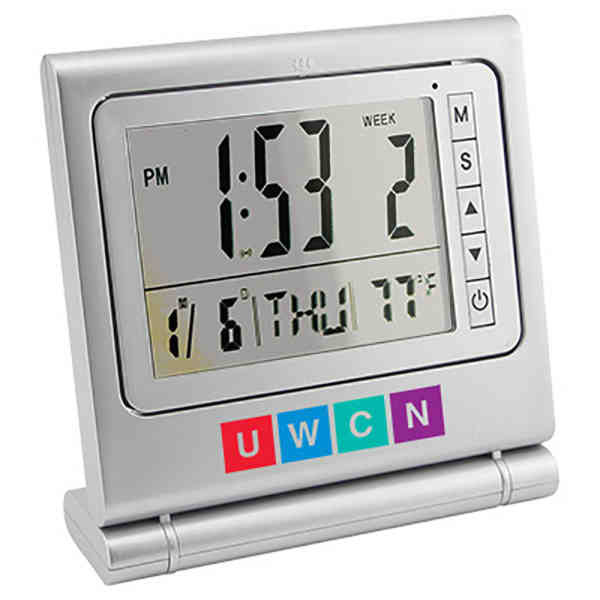 Imprint Method: Unimprinted - Help new and potential clients get comfortable with seeing your brand around when you advertise on this Rotating Mirror with Integrated Clock/Timer! The rotating makeup mirror features an integrated countdown timer, alarm clock, date and temperature that are displayed in the mirror. It's great for timing beauty treatments and there's even a photo frame on the reverse side for them to capture a moment where they looked especially awesome. Batteries are included. Your brand can stay in rotation for quite a while! McKinley. Size: 6 " x 5 7/8 " x 1 3/4 "